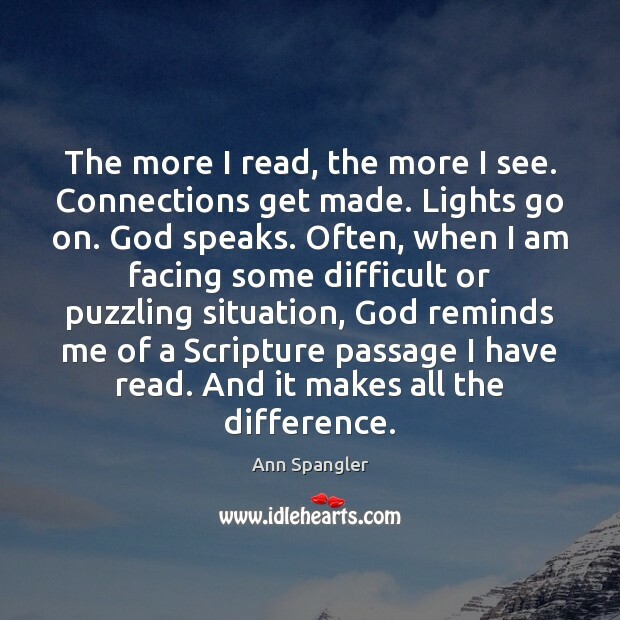 Enjoy the best inspirational, motivational, positive, funny and famous quotes by Ann Spangler. Use words and picture quotations to push forward and inspire you keep going in life! 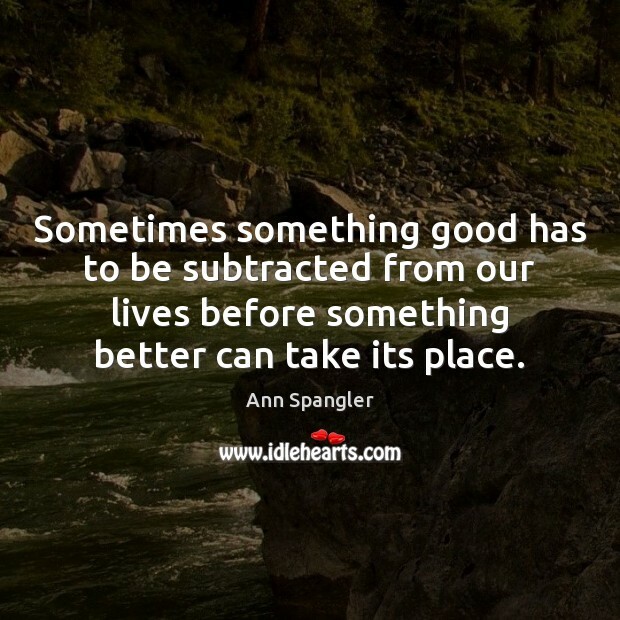 Sometimes something good has to be subtracted from our lives before something better can take its place. The more I read, the more I see. Connections get made. Lights go on. God speaks. Often, when I am facing some difficult or puzzling situation, God reminds me of a Scripture passage I have read. And it makes all the difference. Readable, faithful, accurate-what more could you ask for in a modern translation of the Bible? 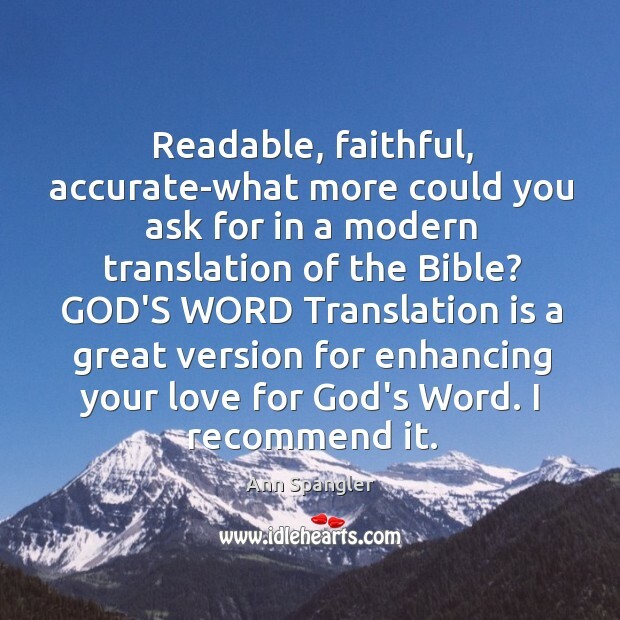 GOD'S WORD Translation is a great version for enhancing your love for God's Word. I recommend it.